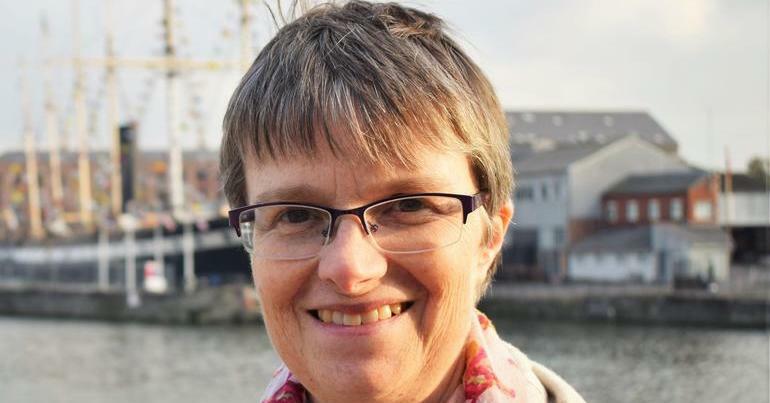 Molly Scott Cato is the latest addition to the Greens’ MEPs. She is also the one with the highest profile. 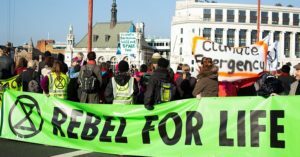 Speaking regularly as the Green Party of England and Wales’ economics spokesperson, she has become an important part of the intellectual infrastructure shaping Green economics. In 2018, she took on a role in holding to account the hard right figures who drove Brexit. Her Bad Boys of Brexit website exposes the “money men”, “regulation burners” and people with a “Russian connection”. These either financed or campaigned for the leave campaign in the 2016 referendum. Using her elected platform and large social media following to distribute this information, she has, along with the work of Adam Ramsay, Peter Geoghegan and Carole Cadwalladr significantly increased public understanding of the forces behind Brexit – who helped ensure it happened and who’s hoping to benefit. The Scottish Parliament are blessed with a fairer electoral system than the UK parliament. Because of this, and the more pluralistic traditions of Scottish politics, the Scottish Green Party currently has six MSPs, and hold the balance of power. Patrick Harvie is a veteran of the parliament, having been an MSP for fifteen years. Over that time he has become the best platform speaker of the UK Green Parties, a voice of radicalism in Scottish politics, and a savvy political operator. 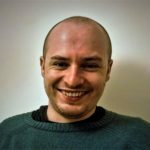 His speech at the Scottish Greens’ conference – one of the strongest of conference season – demonstrated all three of these as he railed against anti-migrant politics, those who demonise welfare claimants and climate change. As 2018 drew to an end, he was also the voice of the Greens’ demands on the SNP over the budget negotiations and council tax reform. This could see a key Green policy introduced, with potential to fundamentally improve local taxation, public services and levels of wealth distribution in Scotland. 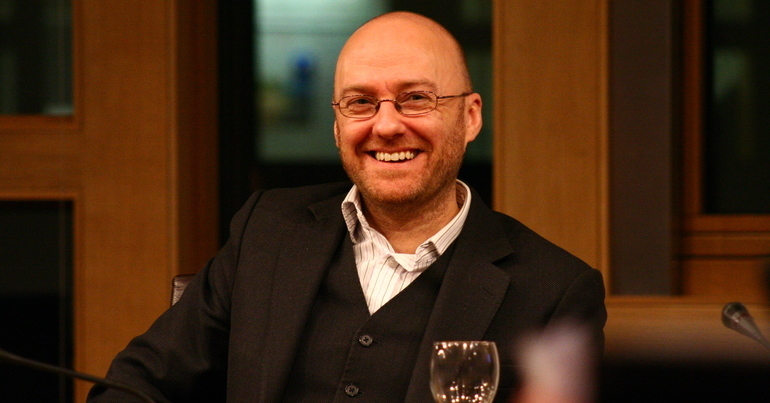 As negotiations rumble on in the new year, Harvie’s leadership will be crucial as to whether or not the hated council tax system will be abolished. 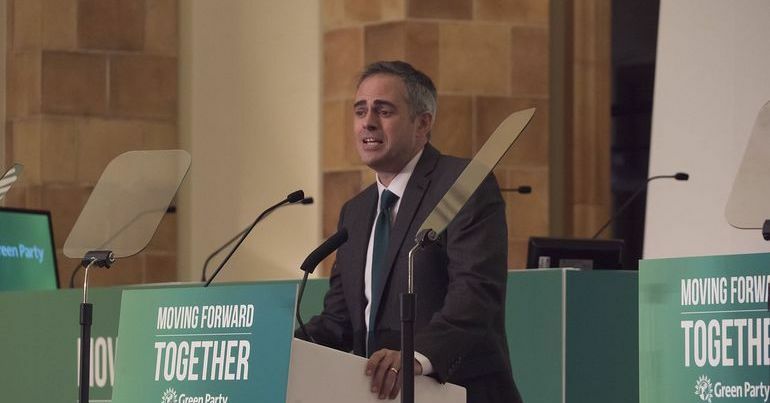 At times understandably overshadowed by his Co-Leader for most of the year, Jonathan Bartley has nonetheless secured his position as one of the primary forces directing the Green Party of England and Wales’ future. Seeing off what at first seemed to be a strong challenge from Shahrar Ali, Bartley picked up a healthy 75% of the membership vote alongside his now Co-Leader Sian Berry in the party’s most recent leadership election. Earlier in the year, he proved his credentials as an election organiser. In the May local elections, he was one of five Greens elected to Lambeth Borough Council, after which he became leader of the opposition on the council. To this end, he has shown his efficacy not only as a competent media performer and platform speaker, but also as an electoral threat – particularly in areas dominanted by the Labour Party for decades. 2019 will see the long campaign for the London Assembly and Mayoral elections kick into gear. Bartley will be an important factor in determining the Greens’ success. Unless you were particularly keen on Sheffield’s trees, or the TV show Hunted, you were unlikely to have heard of Magid Magid at the start of 2018. Fast forward 12 months and that has probably changed. After his inaugural portrait went viral on Twitter, he became the Green Party of England and Wales’ first real celebrity politician. 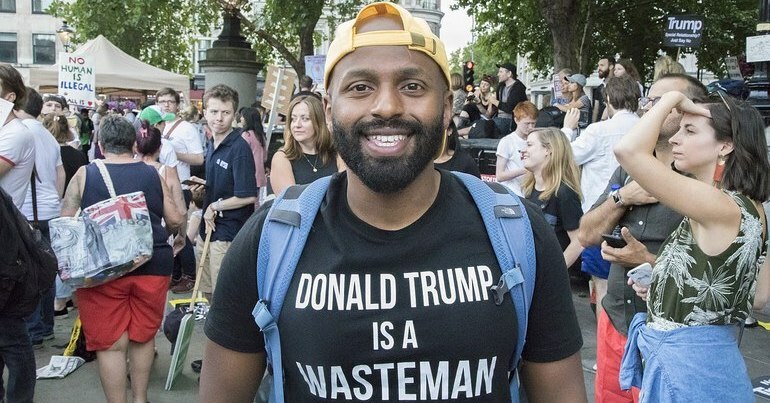 Becoming the UK’s most prominent Lord Mayor overnight, Magid went on to gather more attention from social media and column writers, by ceremonially banning Donald Trump from the city of Sheffield. These moments built a Magid a strong profile and a heavy online following. That alone would be enough to gain him a spot on this list. But he appears so high not only for his ability to generate publicity. Instead, it is for the way he has utilised his profile. He has become an effective media performer, going toe to toe with more experienced political figures in TV debates, while also seeming cool and calm in a newspaper review. Further still, Magid has actively participated in wider campaigns for social and environmental justice, not least of which was his witty and amusing endorsement of the Justice for Orgeave campaign. Moving into the new year, all eyes will be on where Magid decides to take his growing popularity next. 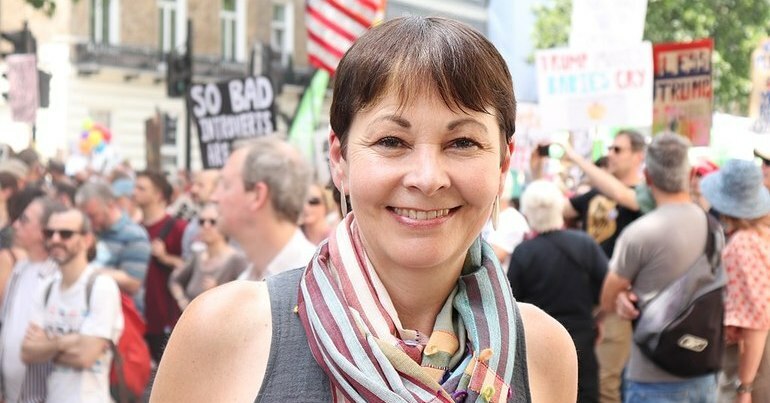 2018 was the year Caroline Lucas once again stepped aside from a leadership role. However, she remains the most prominent and influential Green in the UK. After nearly two decades in major political roles, as an MEP, in the Green Party of England and Wales’ various leadership iterations and since 2010 as the Greens’ only MP, Lucas has cemented herself as the human embodiment of Green politics in the eyes of the public. In that role, she has effectively pushed the Greens into the political mainstream. 2018 saw Lucas’ influence rise further still. With the growth of the People’s Vote campaign, she has emerged as its most effective and regular advocate, eclipsing others from the larger parties. At this year’s close, this saw her delivering a strong performance in Channel 4’s The Real Brexit Debate, and in the final Question Time of the year. 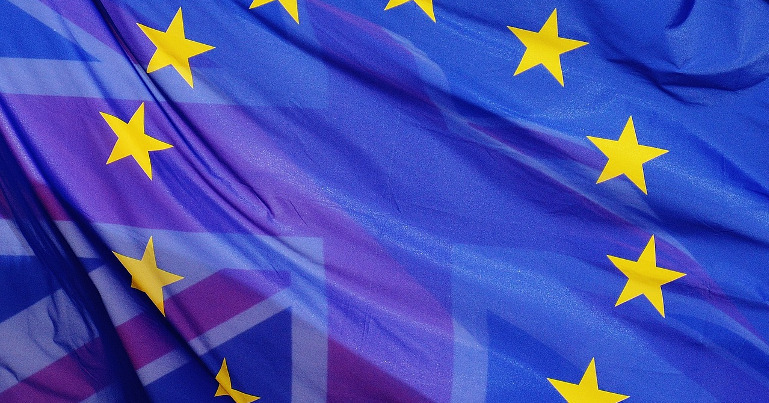 Should the People’s Vote campaign succeed, it will be in no small part to Lucas’ involvement. Given this, and her ongoing public representation of the virtues of the Green vision, no other Green has had more influence on the UK’s politics in 2018 than Caroline Lucas. Missed the rest of the list? You can find numbers 10-6 here, and numbers 20-11 here.